Searching for rentals in The Loop? You’re in the right place! Welcome to Chicago’s best resource for browsing apartments and condos for rent right in the heart of downtown Chicago. If you’re looking for that authentic big city living experience or perhaps want a full amenity building that offers features like an indoor swimming pool, a modern exercise facility, a full media room and business center, and even all kinds of pet-related amenities like an on-site dog run and pet wash, there’s no downtown neighborhood that’s hotter than The Loop right now. Another aspect about Loop rentals that can’t be overstated is that many buildings here provide an easy and convenient walk-to-work location that not only saves locals money on transportation, but also the hassle of a long commute day in and day out. And as anyone knows who has dealt with the long train, bus, or car rides into work 5 days a week, that alone may be worth giving The Loop some strong consideration for your next apartment rental. 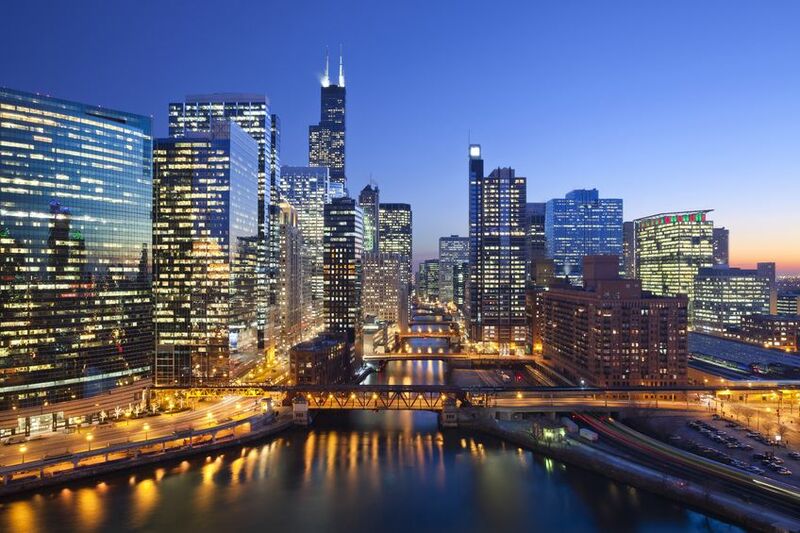 Although the Loop is labeled Chicago’s primary business and financial district, large-scale residential development in recent years now makes it a top place to live in the city as well. As mentioned above, if you’re looking for the ultimate urban living experience, it doesn't get much more “urban” than right here in the Loop, where you’ll be surrounded by some of Chicago’s called high-rises. A growing number of shopping destinations, restaurants, and outdoor amenities also continues to make the Loop a red hot destination for anybody in the market for a new apartment, and the increased inventory of full-service buildings with insane lifestyle amenities doesn’t hurt either. To learn more about what it’s like living in the Loop, check out our list of hotspots within the neighborhood. Not long ago, The Loop was primarily known for being the commercial, business, and financial core of downtown Chicago, but thanks to buildings like 111 W. Wacker, 73 E. Lake, and 28 E. Jackson, it’s also now one of the more popular places in downtown Chicago to both work, and live. For more information about rentals and apartments in The Loop, contact Gold Coast Realty today at (403) 921-7355!